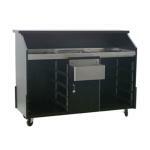 Our portable bars are wonderful assets to any bar or restaurant, as well as to catering and buffet service providers. 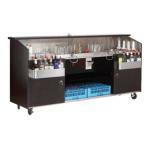 Whether adding temporary or mobile service to a bar room, pool hall, or dining area, expanding a service area, providing bar service at a reception, conference or other event, we have the portable bars to suit your need. And don't forget the items you need to stock your portable bars on site, such as bottle displays or beverage dispensers! 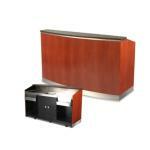 Browse our huge selection of portable bars. 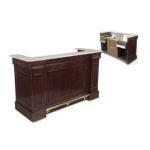 These portable bars are offered in a wide range of styles and designs. 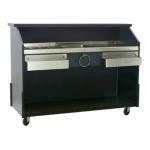 Perfect for events or for extending service areas. Here you will find our pick of Maximizer bar stanchion replacements. These replacement stanchions keep portable bars looking new. Ask about member pricing!